Morris James is pleased to announce the establishment of an endowment to support the Delaware Photographic Society (DPS), the oldest camera club in the USA. The focus of the endowment will be to enhance DPS’ endeavors to encourage and develop interest in photography and to establish the annual Morris James Photographic Competition Award that will go to the first place finishers of its annual print and projected image competition. 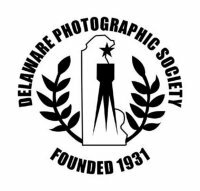 The Delaware Photographic Society was organized as the Delaware Camera Club January 31, 1931. The DPS was originally formed to encourage and develop interest in photography from pastime to a fine art, by providing meetings, lectures, idea exchanges, instructions and exhibits. The first Wilmington Salon of Photography was held on January 8, 1934, with 33 monochrome prints from 17 states, the District of Columbia and Hawaii. The DPS became a charter member of the Photographic Society of America (PSA) when it was founded later that year. It is one of the oldest exhibits continuously operated with PSA recognition. The salon was later renamed the Wilmington International Exhibition of Photography (WIEP). DPS is a Charter Member of the Photographic Society of America (PSA) and of the Delaware Valley Council of Camera Clubs (DVCCC).